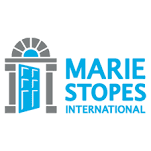 Marie Stopes International provides contraception and safe abortion services to millions of women and families across the world. 2015 was the year in which we served our 100 millionth client, delivered more services, and achieved a greater health impact than ever before in a single year. Nearly 21 million women and their partners are using a form of contraception provided by us. And in the five years since 2010, the number of women we are protecting from unplanned pregnancy annually more than doubled. To learn more about our impact, read our Global Impact Report 2015. We believe that every woman and girl should be able to have children by choice, not chance. When a woman can control when or whether she has children, she can control her future. She can complete her education, pursue a career, run her own business or spend time with the children she already has. We know the difference that being able to choose can make. So we will do whatever it takes to make sure that a woman can access the contraception and safe abortion services that give her control over her fertility. It’s why we provide our services in a whole range of different ways, from static centres in urban areas to mobile outreach teams who travel long distances to rural communities. We are here for the long term. No woman who has been given access to contraception or safe abortion should ever be denied it again. We are on the ground in 37 countries around the world, going the last mile to deliver practical solutions and life-changing services.